Black Napa Sheepskin Jacket with fox collar. This item is custom made. - Enter your height, weight and waist size at checkout. - Measure yourself according to chart the bottom of the page . 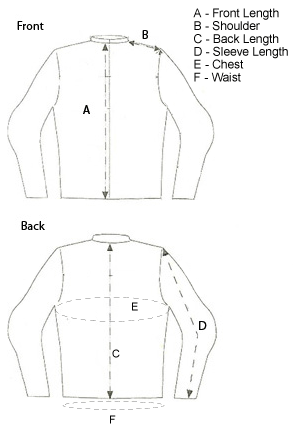 - Order your standard size and then enter your measurements on the order form. - If you would like to customize your colors in any way please call 718-624-3015 and speak to a representative.